Here is the homily for All Souls day. I was commenting to Father Steve that we get so many few opportunities in the liturgical cycle to preach about Purgatory that we must "grab" every chance we can get. However, there is so much to say that it is hard to keep the homily to less than 10 munites, as it is I did not get to even mention indulgences... maybe next time around. Few events are more traumatic in the life of a human being than the death of a loved one. Very few people are prepared to handle this, but as traumatic as this event might be, all Christian traditions have a great advantage over non believers. Our faith gives us great hope about what awaits for us after this life. On our own Catholic tradition we think of life after death in terms of heaven, hell and purgatory. Our protestant brothers and sisters share our belief about heaven and hell. Those are the easy ones … Purgatory on the other hand… well let’s just say that there is as much confusion about Purgatory inside our own Church that outside the Church. So since today is a day to remember those loved ones that have gone to rest, especially those that perhaps are experiencing purgatory right now, I’ve decided to spend some time talking about these important topics. I think that the best way to start looking at Purgatory is to look at human behavior. Specially to look at what we call “sin” and its effects in our souls. Usually we think of sins in terms of actions: Sin is something that people do. This is true, however there is another very important dimension to sin: The fact that if we commit the same sin frequently, eventually it becomes part of who we are. Think of lying for example. We all tell lies, however there are people that in their lives lie so much that it is almost as if they could not be who they are without lying. We can say the same thing about any sinful behavior, selfishness, lust, pride, all these sins, when we commit them frequently they become part of who we are. Now when we receive the sacrament of reconciliation all of these sins are forgiven, however the fact remains, when we walk out of the confessionary…most likely we will continue been liars, lustful or selfish. The question is…Why? Why can’t the sacrament of reconciliation change the way we behave? 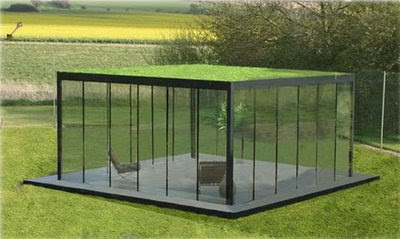 I like to think of our souls as a glass house, created to allow the clear light of God to pass right through us. Sin is like mud that splashes the glass walls of our home. Every time we sin we throw a smelly sticky mess at them. When we pack a lot of mud on these walls they get scratched. So light cannot penetrate on the inside. The sacrament of reconciliation is like Windex, it takes away all the sticky messiness but it does not polish the glass, the scratches remain, not because the sacrament cannot remove the mess sin created but because the scratch has become part of the glass, part of whom we are. If we want to have clear, un-spoiled, transparent walls, reconciliation is just the first step. We need more than Windex need a good polisher and a lot of elbow grease to get the glass walls of our souls pristine again. That polisher and that elbow grease is nothing more than prayer and sacrifices. The less scratches in our walls the less attachment to sin we will have. The more we pray or have others pray for us, the more we discipline ourselves by denying those sins or occasions to sin, the more we allow the grace of God to release us from our attachments to sin. The idea is that eventually when meet God our souls will be so clean that we will be able to receive all of God’s light into our soul, without any scratches to distort his pure light. Now let us say that we are well in our way of having the glass walls of our souls completely clean. What would happen if in the middle of this process we die? Well… even when our sins are forgiven and we have a one way ticket to heaven in our pockets, if our attachment to sins is not resolved, we still have to finish this process for our own good, because without it we cannot be pure enough to enter into the presence of God, and scripture clearly says the nothing that is impure can enter into heaven. The good news is that by the mercy of God if our purification is not complete when we die, this process continues in the next life. We call this process Purgatory. It is not a place but part of the process we might need to go through before meeting God face to face. Does that make sense? There is one more thing… We know that our prayers help us in this process but, How do we know that in fact our prayers help those that have died in their process of purification? I can show you in scripture but there is a simpler way. When we pray the creed we say that we believe in the communion of the saints. What this means is that we agree with Paul when he says that we are all part of the Body of Christ. We believe that by our baptism and the saving action of Jesus in the Cross we are all united in Him. Communion of the saints… Common union… so when one of us does something to help the body of Christ, such as prayer or a sacrifice this benefits all of us. This is why we can help others in their process of purification; because we can ask God to apply our efforts not for our benefit but for the benefit of others. I hope you realize what all this means, praying for our dead is the greatest act of love we can show to them, because we are helping them fulfill their eternal destiny, which is to stand pure and spotless in the presence of God. My brothers and sisters if there is any doubt about what I just said just look at the witness of scripture, look the witness of the first Christians that prayed for their own dead and finally look at the witness of Jesus who proved that there is life after death by dyeing in the cross and rising from the death. Remembering our loved ones, asking God to have mercy on their souls is the greatest sign of love and fidelity we can show to the other members of the Body of Christ. That my brothers and sisters is what been part of the communion of the saints is all about.